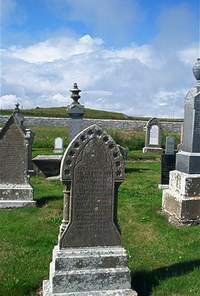 William Donn of East Clyth died 14th May 1895 aged 75. Wife Mary Sutherland died 14th March 1913 aged 95. Daughter Helen Donn died August 1933 aged 77.